For our recent camping trip Matty and I bought a new tent. We both went to Go Outdoors in Stockton as they have their upstairs dedicated to just tents. To be 100% truthful I had no idea what I was looking for. I just knew I wanted something that was easy to put up, had somewhere big enough for me to sleep in and store all my camping essentials. 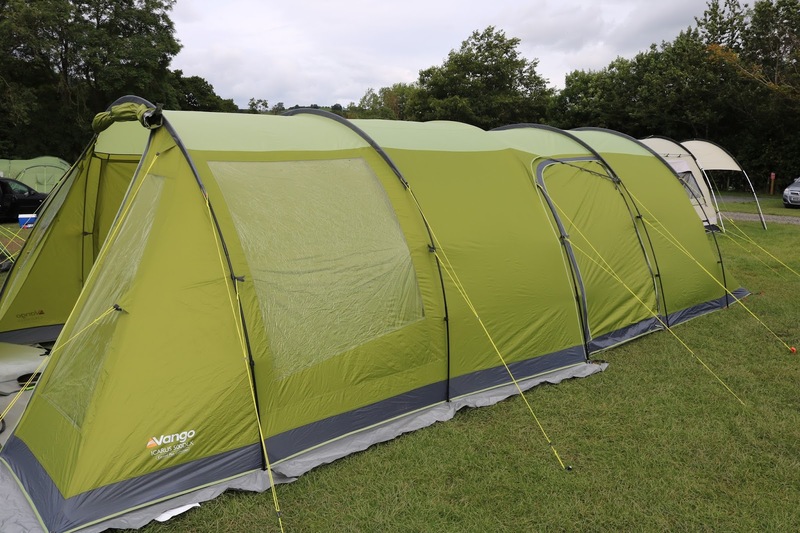 After looking at what felt like a million tents we picked the Vango Icarus 500 Deluxe Tent. 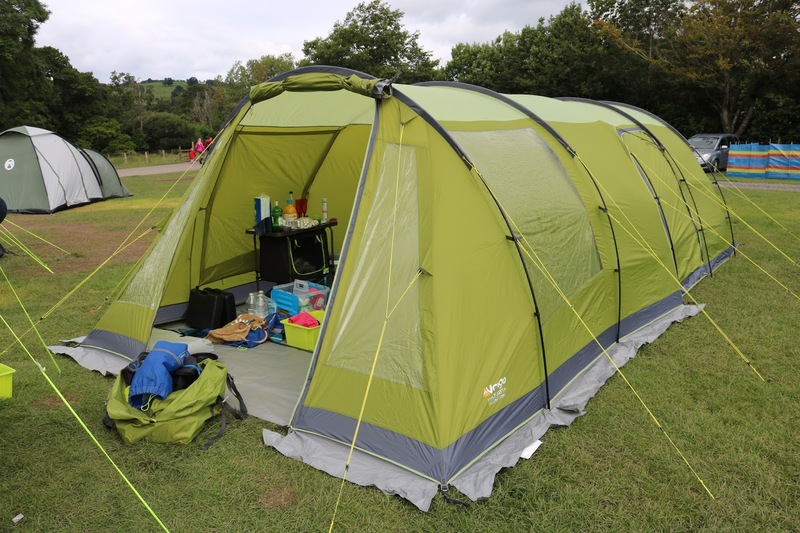 The tent itself is £199 in the sale but we got the bundle which included the tent, carpet, foot print and the canopy (awning) for £375. 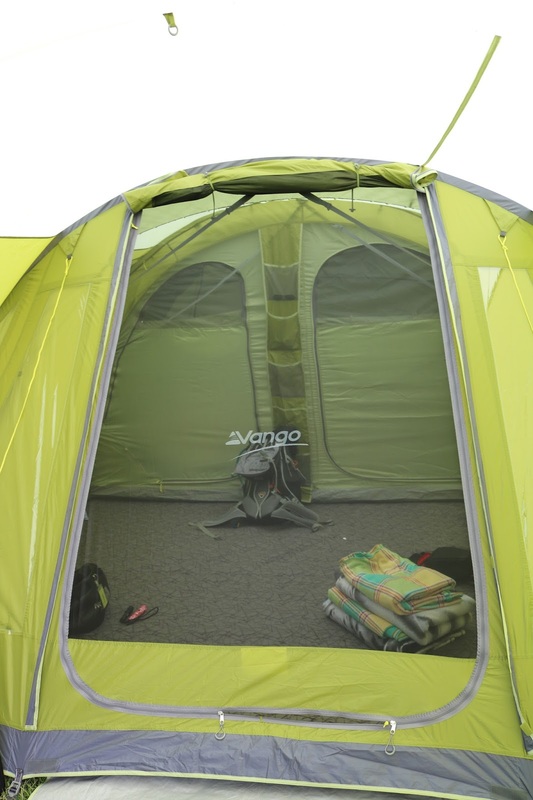 The Vango Icarus 500 sleeps upto 5 people with 2 bedrooms but the divider can be removed. The tent was packed away in one bag which weight just under 15 kilos which I could carry from the car to our pitch without struggling, the canopy was in a different bag. It took 2 of us to set up but was pretty straight forward. All the fibreglass poles were colour coordinated with the pole sleeves and slide in pretty easily. The only bit I struggled with was putting the pegs in the ground, clearly I am not strong enough so next time I'll be taking a hammer. The canopy was huge, enough to put 4 chairs, a table and our little kitchen area in which we did whenever we left our camping area. This is also where we took our shoes off which was super hand to have. Through the front door there was a mesh door which I insisted remained closed at all times to keep any creepy crawly out. I did have to remind Matty to keep this door zipped at least twice a day. Inside the tent was extremely spacious. The middle part of the tent which I nicknamed the front room this is the space where your carpet goes. The carpet was soft under your feet and made me feel more at home. Also I really liked the line of pouches in this room it came in super handy for torches, sunglasses and other loose items. 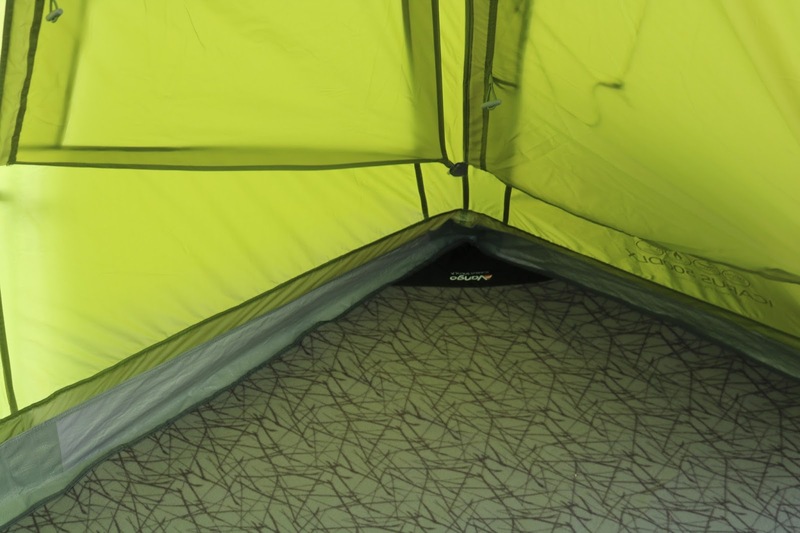 The pockets were conveniently placed the the middle of the tent in towards to back of our front room. 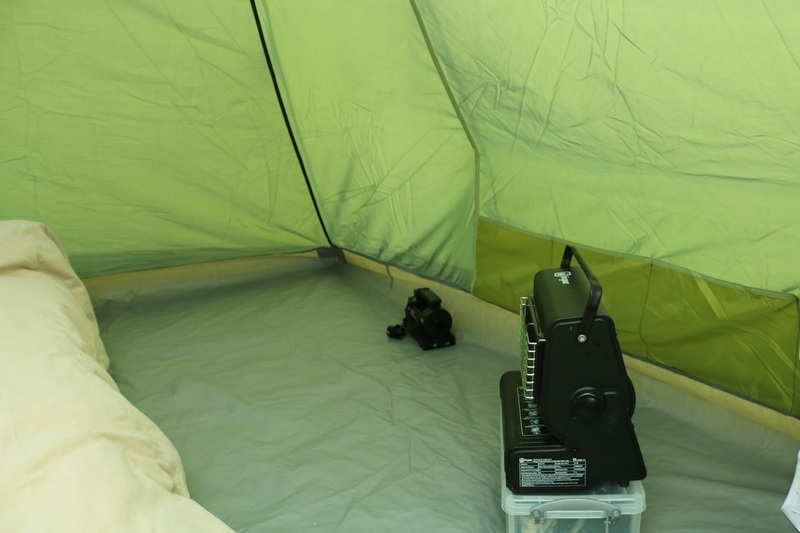 The bedroom part of the tent was completely separate to the tent altogether which is called an inner. This clipped on separately. When we took the tent down however we did leave this part in. We took kept it would and put in our inflatable bed. There were two doors that allowed you to gain access to the bedroom which I assume you will need both access doors if you had the room separator up. 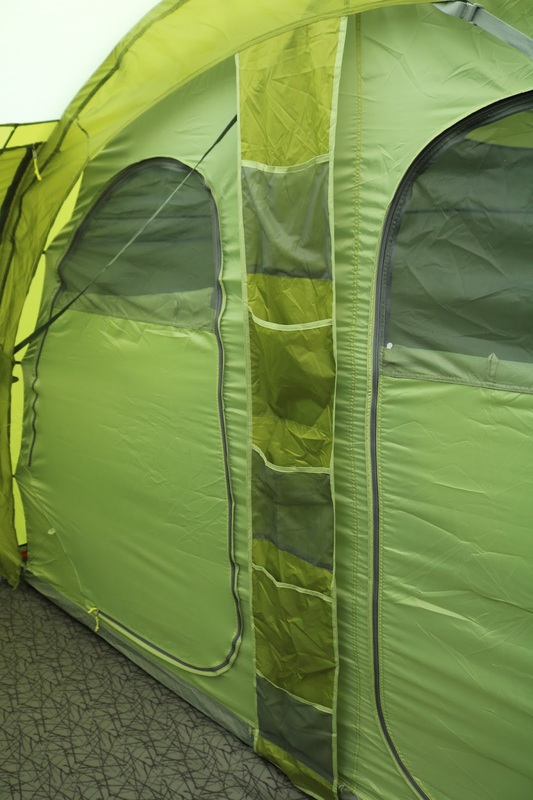 Both doors zipped up fully and within had a half door with a fly sheet which allowed ventilation through the tent. 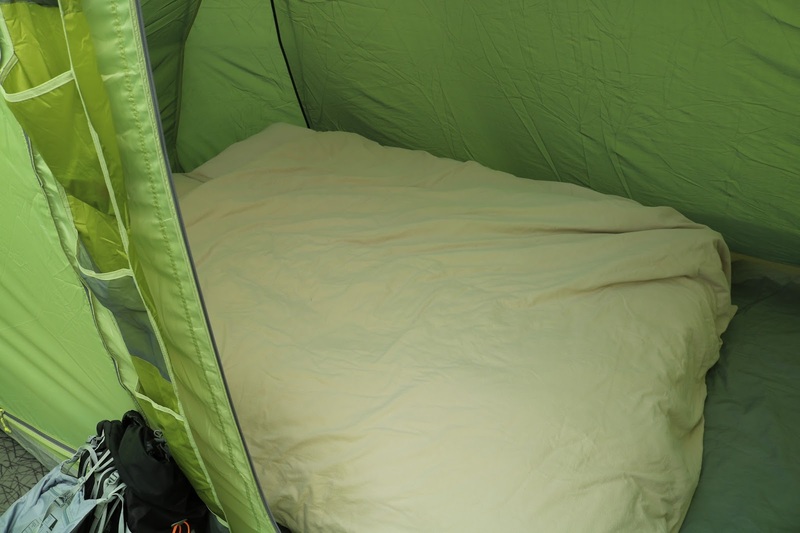 Overall the Vango Icarus 500 was perfect for us. As I'm still a new camper the size was perfect for both of us and the bedroom was roomy enough for the blow up bed and to get changed in. I'm looking forward to the next time I go camping knowing that the tent is big enough for everything I need.